Alpine Beer Company – Alpine Windows Up – 12 oz. bottle poured into specialty glassware – 7.0% abv. Windows Up is the new name for Hop Boxed, which debuted in 2015. I tried this beer first in 2016 when it was bottled by Alpine’s new parent company, Green Flash. I loved the beer back then, and as far as I can tell, the recipe remains unchanged. 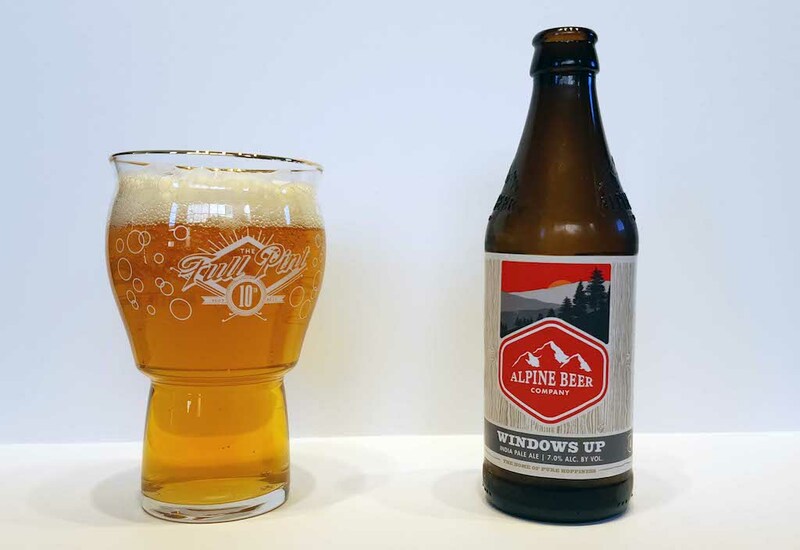 Now, Windows Up is part of Alpine’s core lineup of six beers, five of which are pale hoppy styles. Alpine has recently started canning Truck Trail APA and their Willy wheat beer, two other core beers. Though the big names Duet, Nelson, Hoppy Birthday, and this beer aren’t offered in cans yet, I remain hopeful. 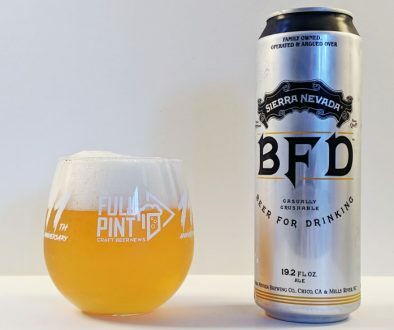 I’m sampling this from a 12 oz bottle, which is the familiar, oddly-shaped, semi-stubby bottle popularized years ago by Green Flash West Coast IPA. Now, Alpine gets its own livery on the raised glass design. Packaging date is nowhere to found, which is behind the industry curve. Into the glass, this beer is crystal clear, deep golden in color. Strange, as the official description describes this as hazy. There’s no yeast sediment that I can see, so the whole bottle went into the glass, and it’s still clear. Initial head formation is strong with tight bubbles and a rocky texture, but head retention is poorer than I would expect in a hoppy style. Within a few minutes, the foam dissipates to almost nothing. But the visuals are quickly forgotten because this smells phenomenal. You’re hit with coconut, vanilla cake, and fresh Valencia orange. In the flavor, you get a similar juxtaposition of pound cake and orange juice to make that glazed orange pound cake flavor. Hey, it’s a real thing, and it’s delicious. The mouthfeel is clean, soft, and consistent. 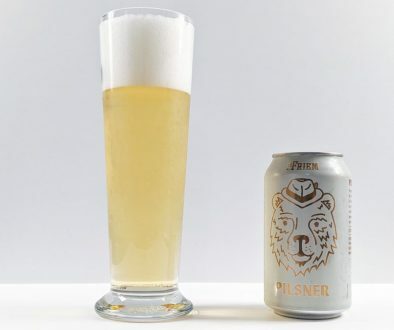 There’s a touch of oiliness and sweet buttercream to allow the beer to glide around the palate. 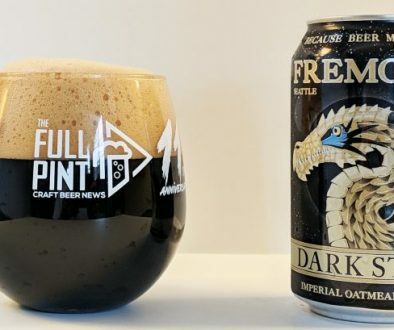 It’s the opposite of that chewy, piney, aggressively bitter IPA that has lost popularity. Here, we get that ethereal quality that makes Alpine IPAs some of the world’s best. Apparent bitterness sits somewhere around a 6 out of 10 as does sweetness. It’s well-balanced, extremely drinkable, and doesn’t come across as this “dank” IPA craziness. Rather, I find this beer to be understated, satisfying, and familiar. There are qualities here, especially in the mouthfeel, that remind me of the best batches of pre-Green Flash Duet. That beer, at the time, was my favorite IPA in existence. Overall, I think I like this one better than the scaled version of Duet you can also find in wide distribution. Perhaps because I’ll always have the old Duet perfection stuck in my head that the scaled Green Flash bottled version doesn’t quite capture the original. Windows Up doesn’t have the same mythos to live up to, so I may not be expecting as much from it. But dissect this beer and you’ll find the best of the best available right now in the market. Windows Up is manna from heaven in six-pack form. Yeah, really annoys me that Green Flash/Alpine can’t put “bottled on” dates on their products. Keeps me from buying them, honestly.